As many of you know – I love football & the Green Bay Packers are my team! Of course I love the playoffs. And, they are always sweeter when your team makes it and this year, the Packers are lucky enough to make it into the playoffs…. to the first round anyway! Looks like a bitterly cold day in Green Bay, but here in California, it’s going to be a beautiful & sunny. 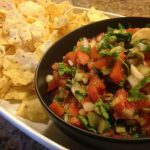 I’m settling in to watch some football and need some game day grub – so here’s my pico de gallo recipe. Fresh and spicy, just what I need to enjoy the game. 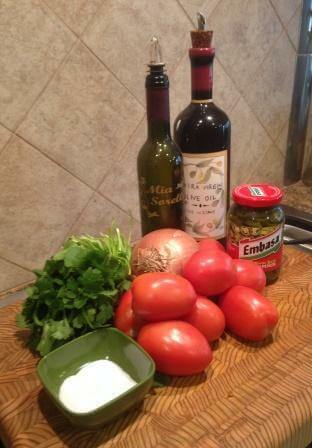 First, gather all your ingredients, and as you can see – doesn’t take much to make a really tasty salsa! 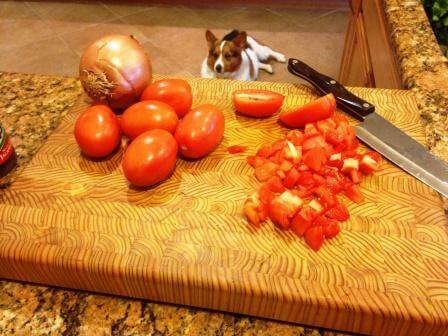 Get everything chopped – as you can see, I had my little helper here to make sure I completed everything just so! My dog Dudley….he does love to supervise! As I was saying earlier, chop everything & put it in a big bowl. Add the lime or red wine vinegar, olive oil, vinegar & salt and mix thoroughly. Go easy on the salt, as because you are probably serving with chips, they will add even more salt. You can always add more…tough to take it away! Again, just mix everything together & that’s it! Plate it in a great bowl & surround it with chips. Salsa is best when it’s room temperature. Plus because it’s just veggies, it’s ok to leave it out for everyone to enjoy. I hope you like it! I gotta go now, ’cause it’s time for me to go root for the Pack! 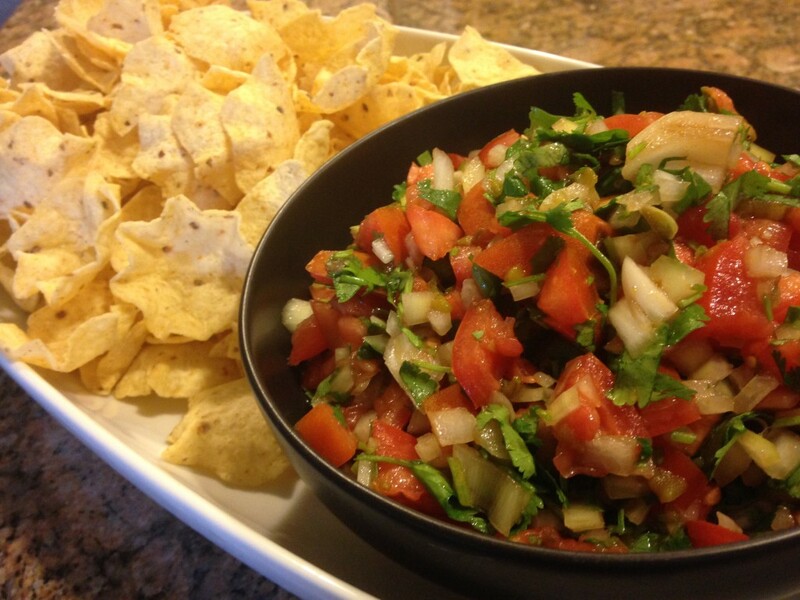 Game Day Grub - Pico de Gallo - serve it at room temperature when you're watching the big game or on movie night. Love a fresh salsa! Chop the tomatoes, onions into a very small dice, chop the cilantro - including the stems very fine. I use the stems as well as the leaves because there is so much flavor in them. 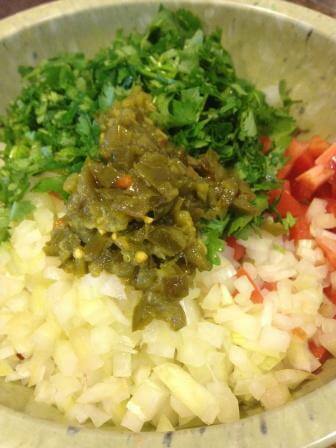 Chop the jalapenos & put the veggies in a large bowl. Add the olive oil, lime juice, balsamic vinegar & salt. Be light on the salt, since you will probably be serving this with chips, it's easy to over salt. I made this dip and it was so good. Loved it. Thank you for sharing with us. Such a family favorite, thank you Lois!